Where Have You Gone Berriman Street? 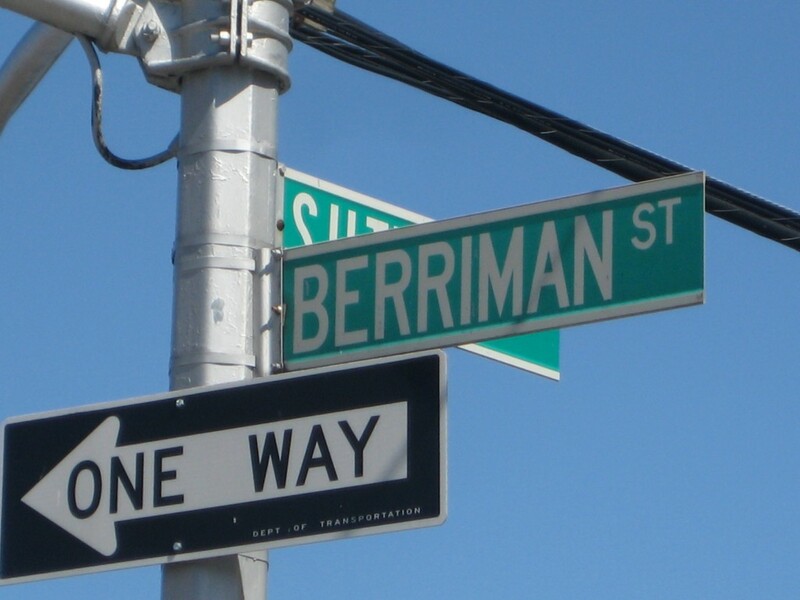 Berriman Street is a street in the East New York section of Brooklyn. 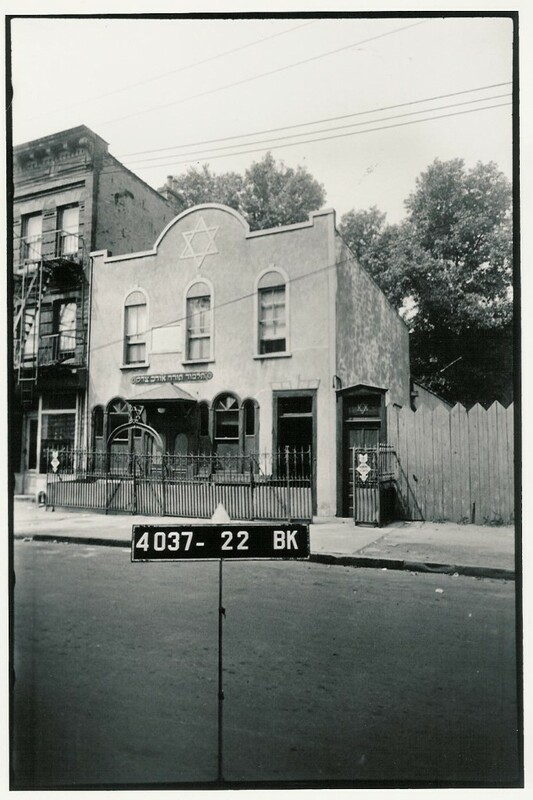 The neighborhood was the settling grounds of Jewish refugees seeking to escape from the tenements of the Lower East Side in the early 1900’s. My mother was born on Berriman Street. As a child my family went to my grandparents’ – who still lived on Berriman Street for the high holidays. A block away from my grandparent’s house was Talmud Torah Ohav Zedek better known as the Berriman Street Shul. As years have gone by I have been to many different types of shuls in various socio-economic neighborhoods, but for me nothing matches the experience of the holidays in the Berriman Street Shul. This was a shul founded by my great grandfather in New York, but if you didn’t know better you could have believed it was located in a shtetl in Galizia. In the fifties and early sixties when I spent my holidays there, it was populated by refugees from Galizia including many Holocaust survivors. During that time I was living with my parents in Kew Gardens Hills – where the Jews who wanted to move from the changing neighborhoods of Brooklyn moved to. We went to the Jewish Center of Kew Gardens Hills, one of the premier institutions of the Conservative movement. There the services were led by the prominent Rabbi, I. Usher Kirschblum and famous Cantors like Jacob Koussevitzky and Charles Block. The Hebrew of the Jewish Center was the standard American accented Ashkenazi Hebrew. The Hebrew in Berriman Street was the Galizian accented Hebrew of the Old Country. The sermons in the Jewish Center were in English by a polished public speaker. In Berriman Street all speeches were in Yiddish (which I didn’t understand well). By the fifties, when I was born, Berriman Street did not have a Rabbi and for the holidays they would hire a Baal Tephilah, not a Cantor. By all indications the Jewish Center where I went to Hebrew School and had all my friends should have been the more desirable place for a young boy growing up in NY in the 50’s. Yet for me nothing could have been further from the truth. I absolutely loved going to Berriman Street for the holidays and besides being with my grandparents the Shul was the big reason why. I loved how the characters of the Shul could have dropped out of an Isaac Bashevis Singer novel. There was a story about everybody and as a young boy I relished in these stories. Honors were auctioned off and my Great Uncle Yossel was the auctioneer in his delightfully accented Yiddish. Each year, my father bought my grandfather the Levy aliya on the first day of Rosh Hashanah. It usually ended up costing him about $5. For the first Rosh Hashanah after my Bar Mitzvah my Uncle promised to buy for me Maftir. It ended up costing him $25. He was furious because he suspected somebody was bidding it up in order to force him to pay more, knowing that my Uncle had promised it to me. In the Berriman Street Shul the congregation prayed with a fervor and fear of G-d never seen in the Jewish Center. When Shema Koleinu (Koyleine in Berriman Street Hebrew) came around the elder refugees and survivors were praying for G-d not to forsake them in their old age. Tears from the women’s gallery and the trembling of the men greatly affected me as a young boy. 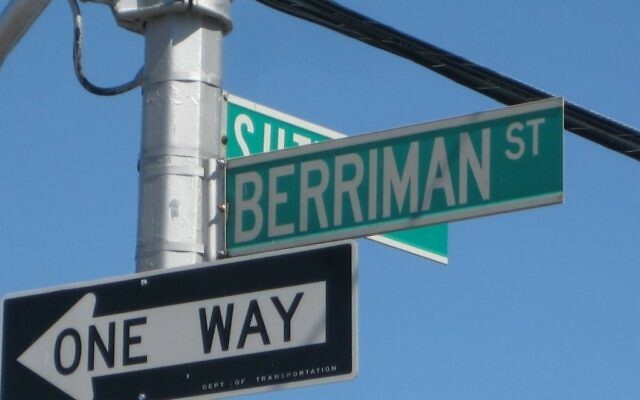 In the early sixties the East New York neighborhood started to change and the world of the Berriman Street Shul was dying. By 1964, my Grandfather had died and my Grandmother was the last white person on her block. There was nobody around to maintain the Shul and it was sold to a church. My Grandmother moved to Queens and my family started to go exclusively to the Jewish Center of Kew Gardens Hills for the holidays. There we were part of the hundreds of Congregants who listened to powerful sermons and wonderful Cantors with prominent choirs. For me, the holidays were never the same. The passion and fervor of the congregants for the prayers in Berriman Street were unmatched. I missed the flavorful Yiddish of Uncle Yossel’s auctioning and the crying chants and melodies of the Baal Tephilas. From there, my journey continued and I followed the path of many of the New York Jews of the times. I got married and moved to the elegant suburb of Great Neck in Long Island. We joined Temple Israel of Great Neck led by the scholarly Rabbi Mordechai Waxman and for the holidays I was enchanted by the masterful Chazanut of the Chief Cantor of the Israeli Army, Arie Braun. As much as I enjoyed listening to them, for me it was still not quite Berriman Street. Today East New York is experiencing a revival as it is being rebuilt and re-emerging after decades as a crime ridden neighborhood. While it is a pleasure to see the neighborhood revitalized I am afraid it will never be a Jewish neighborhood again. Kew Gardens Hills is now a Haredi neighborhood and the Conservative Jewish Center with it’s magnificent sanctuary is struggling to survive and it’s just a matter of time till it is taken over by an Orthodox congregation. 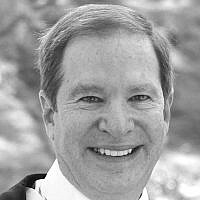 Temple Israel of Great Neck is still a leading Conservative congregation but is also drastically losing membership. Now I live in Roslyn, Long Island. Last week for Kol Nidrei I went to Chabad with my cousin who used to go to the Berriman Street Shul with me. We rushed to get there in time for Kol Nidrei. As we walked in something astonishing was happening on the bimah. There was an auction for who would hold the torah’s for Kol Nidrei. My cousin and I were enthralled. Instead of Uncle Yossel yelling out “ein, tzveih, drei” there was a kind Persian man yelling out “achat, shtaim, shalosh” Instead of the honors going for $5-$25 they were going for $1200-$1600. The cantor there had a beautiful voice. He sang the heart rendering melodic chants of the Baal Tephilas of Berriman Street. My cousin and I gleefully sang along. My cousin’s young son who never experienced a service other than Reform Chaverim remarked how he absolutely loved it and wanted to go back. I think the place we really wanted to take him back to was Berriman Street. There is no longer a shul on Berriman Street but the piety and authenticity has been relocated into the hearts of the young boys and girls who had the privilege of davening there. Our offspring are still looking for that experience that we enjoyed in our youth in the Berriman Street Shul.